I know this blog will probably never win any awards. That’s not to say it isn’t any good, but it is just one of a whole plethora of amazing, more worthy blogs you can find in the blogosphere! So I’m cool with that. To appreciate and raise awareness of those amazeballs* blogs, there is numerous blogging awards available thought the year. One of the big ones is the MADs (Mum And Dads for those falling asleep). This post isn’t a begging letter and as I’m not going to give myself a vote this year, I’m not expecting to be nominated at all. What I would like you to do dear readers is just vote! If you follow my little journey, you probably follow others, so you should find it easy to pick a blog for each category. Last year all hell broke loose**when the guys over at the MADs announced their finalists and not one dad blog made in into the finals. I’ve learnt over the past 2 year that dads still have a tiny voice in the blogging world but its getting louder post by post. So if you love a dad blog show them some live in this years MADs! 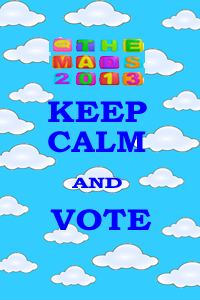 Pop over now to http://www.the-mads.com/vote/ and make your vote count!! * Apologies for including such a word in such a high brow blog. ** maybe a slight exaggeration. Lets just say fists were clenched….then shaken disapprovingly! Good post and I have a strong feeling a few dads will appear in the shortlist this year. I have yet to make my nominations but there are a few great daddy bloggers around so I will be sure to keep you all in mind, I am not sure if to push for votes for myself tho, yet to decided.